Hosted by Tony S. and Marco M.
Dragon Boat teams form up near the staged boats. 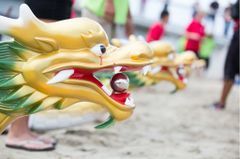 We meet at the first Beach nearest the Dragon Boats. 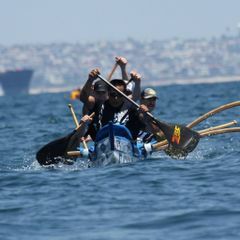 This Practice is geared for new paddlers who want to try out the paddle sport of dragon boat racing and and for our veteran and novice paddlers needing their weekly water cardio workout. Bring your own bottled water and dress for this water sport. rain or shine.. If you can't find us, ask any of the other teams on the beach to direct you to the Splashing Flyers Team.